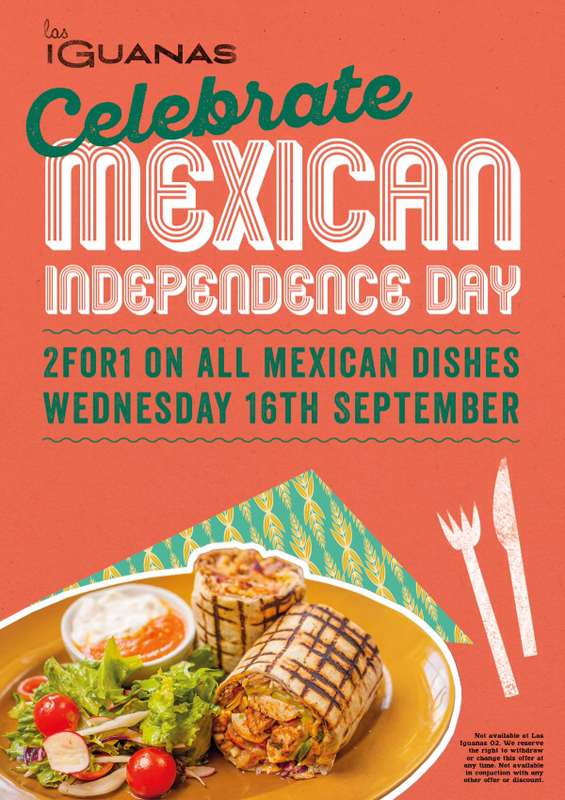 Celebrate Mexican Independence Day with Las Iguanas and be transported to a world of Margaritas, Mariachi bands and amazing flavours! 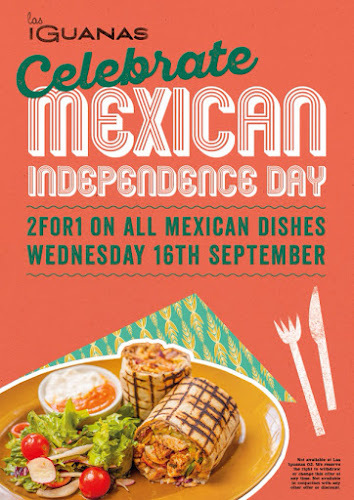 Mexican Independence Day on 16th September celebrates the start of the revolution that led to Mexico's independence from Spain. Streets are lined with Mexican flags & decorations and the 16th is marked with a national holiday, parades, fiestas, feasts & fireworks. Take a look at the menu or book a table.